Liya Kebede is working the fashionable lifestyle in photographer Yelena Yemchuk’s spread for Vogue Italia January 2014. 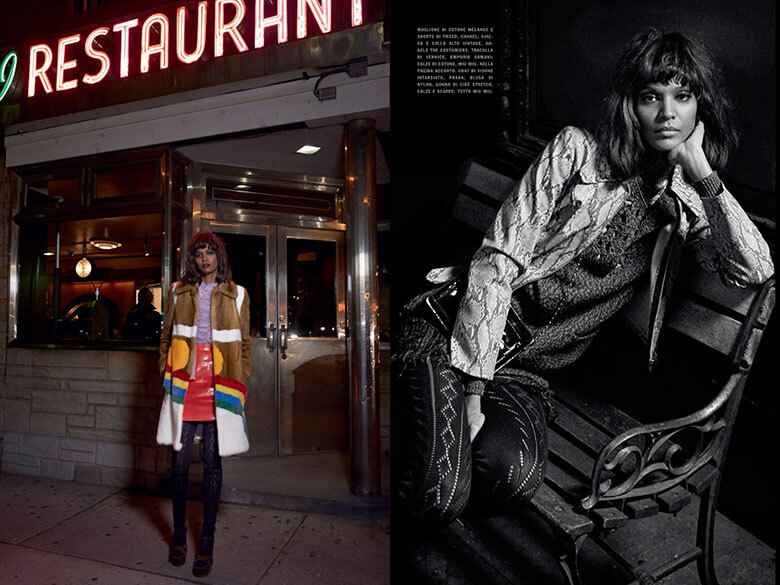 Wining, and dining, the gorgeous Ethiopian model, Liya Kebede is showing off those envious cheekbones of hers when posing around a classic American diner for the brilliant photographer, Yelena Yemchuk. Stylist Jacob K has delivered fun and frisky outfits, from snakeskin coats and red leather skirts to neon tops and leopard prints, it is bold and creative, a wardrobe perfectly suited for Yemchuk’s work. Liya’s hair is kept short with a touch of quirkiness, created by hair stylist Akki, while her make-up is versatile, from natural daytime to glammed up evenings, make-up artist Romy Soleimani has covered it all. Yelena Yemchuk has once again provided us with an amazing editorial, this time, portraying a different angle of ‘Come dine with me’.